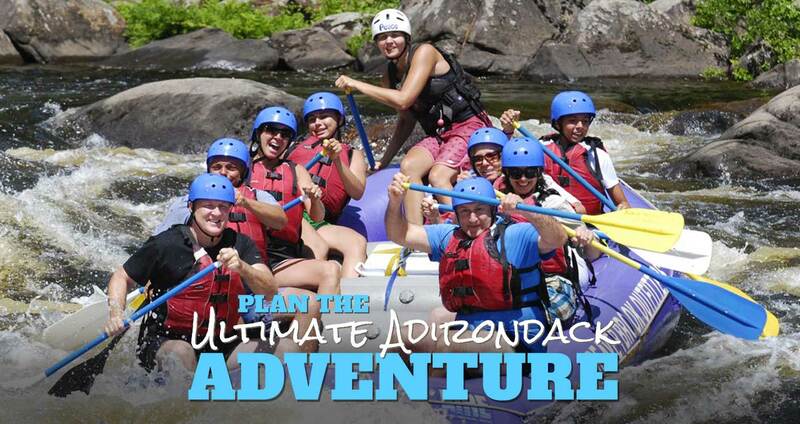 Whitewater Rafting, Tubing, & Kayaking Trips in New York's Adirondacks! Whitewater rafting on the Hudson or Sacandaga River is a fantastic way to see the Adirondack Park at its best, experiencing uninterrupted wilderness between splashes, hoots, and hollers. Canoe, Kayak, or Tube from the only private launch on this calm scenic stretch of the Upper Hudson River. Trips are a tranquil 3-5 mile paddle, and the times are up to you! We offer many types of guided trips – Overnight Rafting Trips, Guided Canoe trips, Caving and more. If you can think of an outdoor experience you want in the Adirondacks, chances are we have a trip for it! Beaver Brook is New York State’s most complete Outfitter. No other outfitter offers the range of trip types, value, or level of experience that Beaver Brook does. Getting into the heart of the Adirondack Park is what we do, and we do it well. After all, we’ve been at it for over twenty five years! Whether it’s whitewater rafting in NY, hiking, camping, caving, canoeing, kayaking, tubing, or skiing that lights your fire, Beaver Brook Outfitters has a trip for you. Six million acres of wilderness are out our front door and we’re here to help you get outside. Beaver Brook offers THE BEST value of any Hudson River whitewater rafting outfitter. We never charge extra for booking fees, necessary gear, transportation, wetsuits, meals (Hudson River trip) or guides. What you see is what you get (and it’s pretty darn good). Beaver Brook Outfitters values customer service, friendliness, and honesty, but you don’t have to take it from us – check out our satisfied adventurers below! 7 days a week through 3/24. Ski shop closed for the season on 4/8. Our first rafting trip of the season is 4/20/19. We have a lot of snow that is finally starting to melt so expect big water!! Call or click the Book Now button for reservations.